The first woman we’ll get to know better is Sarai, or Sarah, the name she is better known by. She was the wife of Abraham, and the mother of Isaac. Of course, what makes her story so unique is that she was 90 years old when she gave birth! So, the first time we meet Sarai we learn three things about her – she lived in Ur of the Chaldeans which was a thriving metropolis; she was married to Abram; and she was barren. Just in case you don’t get what barren means, the verse reiterates – she had no child. While infertility is something modern women face, and nobody can say it isn’t very painful and difficult, there was an added component in ancient culture. Because ancient culture was very cause and effect, if anything happened to you physically, it was sort of a given assumption by those around you, that you had done something bad to deserve it. I have never personally struggled with infertility, but I have several friends who have, and one thing that seems to be a repeating theme is they feel somehow broken or defective – like their bodies have betrayed them by not working the way they should to conceive and/or carry a child. I’m sure that is very hard to work through. Now what if you are infertile and you feel that way AND everybody is saying the fact that you can’t get pregnant is all your own fault – you must have done something to become barren? That’s how it would have been in ancient times. It wasn’t just a heartache – it was a shame. That woman walked around with a stigma hanging over her head like a neon sign blinking above her head – barren. A woman’s husband could get rid of her because she couldn’t have children. Nobody would have looked askance at him either, if he took on another wife or two. In fact, the people who knew him would think he was very generous to keep his barren wife, even if he added more wives. It kind of tells you the type of man Abram was because not only did he NOT divorce his wife because she couldn’t have children, but until Sarai basically threw her maid at him, Abram didn’t take any additional wives either. It appears that Abram saw Sarai as more than as a means to perpetuation his gene pool. Added to the shame was the practical implications of being barren. There were no nursing homes. There was no social security or medicare or council for the aging. Your children were the ones that took care of you. If you had no children, well, it was a pretty scary prospect. The word barren is the Hebrew word aqar which means sterile. The root of the word means to, “pluck up; rooted up or hamstring.” In other words, being barren meant the roots of your family tree were rooted up. It’s interesting that this word is also translated “lamed” elsewhere in the Bible. To not have children, certainly did cripple you in practical ways as you got older. While not being able to have children is still a heartache for many couples, things are different these days. Not only are there medical options that weren’t available in Sarai’s day, but there aren’t the stigmas attached either. That’s mainly because these days, as a general rule, we don’t believe that if you get cancer or a tragedy befalls your family then you must have done something bad to deserve it. There are those who still have this view, but they are in the minority. At least, we <i>SAY</i> we don’t believe that. On the flip side though, there are a lot of people who question why bad things happen to good people. There are books, sermons, study series – all on this topic. If we believe that bad things aren’t a result of bad behavior, why do we believe good things are a result of good behavior? Or inversely, righteous living shouldn’t equal bad things happening. Even though I <i>love</i> that quote; even though I can chant the line that bad things happen independent of behavior; even though I can spout the promise that God works all things for good – I still fall into this thinking. I still tend to feel like it is unfair if unpleasant or difficult things befall me even – or to be honest especially – when I think I am doing the right things. I guess the first thing we can learn from Sarai’s life is that following God is not an insurance plan against suffering. I think if we can truly understand that God is sovereign and He really DOES work everything out for good, we can let go of our expectations or at least not be completely blindsided when (not if ) bad things happen. I think there is a lot of peace to be found in truly accepting that life is not always fair or even understandable at times. I was doing a series of lessons in my Sunday school class about women in the Bible. We studied the usual suspects, as well as some lesser known females that figure in the pages of Scripture. As I studied and looked deeper into the lives of these women, many of whose stories I had heard since I was a little girl in Sunday school, it hit me that many of them struggled with infertility to one degree or another. Sarah was an old woman, well past menopause, when she had Isaac. Rebecca also had to wait a long time before she finally gave birth to twin boys: Jacob and Esau. Rachel watched her fertile sister Leah produce child after child, while her womb remained empty. Not even having her husband’s love filled the void she felt. As I looked at these women who struggled with infertility in a time when answers for empty arms were few and far between, I also saw another pattern that emerged. The majority of these barren women went on to become the mothers of key players in the Bible’s pages. Think about it. Isaac was Abraham’s heir. Jacob became Israel and father to the 12 tribes of Israel. Joseph saved a nation of people from starvation. Over and over again, the barren women in the Bible played a key role in bringing up chosen children who made a big difference in the world. While their path to motherhood was not necessarily the one they would have chosen, God had a bigger plan in mind. Since this is May and we just celebrated Mother’s Day, I thought it would be interesting to take a closer look at these women and what their lives can teach us. I have never struggled with infertility. When it was time to have our children, things were pretty easy for my husband and myself. However, I do know that many women struggle with infertility or not being able to have biological children of their own. I am adopted, so my mom knows this heartache firsthand. Others have suffered the loss of one or more miscarriages. Others wait and wait to adopt a child and it seems like it will never be their turn. It seems every woman I’ve talked to or interviewed for an article or even read about that struggled with being infertility seems to wrestle with the feeling of being “less than” as a woman. As if not being able to reproduce made her a failure as a female. The thing is, though, no matter what your path to motherhood looks like, we need your stories. It’s in the brokenness of deferred and denied dreams that God’s presence stands out the most. My wish is that this series offers hope and encouragement to all women no matter where you happen to be on the road to motherhood. Hope that God sees you. Hope that though the path might be uncharted to you, God has it all mapped out. My other wish is that this series brings us together as women. It’s when we understand each other’s stories that true sisterhood takes place. I wish I had it all together. I had hoped by the time I hit my fourth decade that I would have myself together – that meal planning, house cleaning and keeping on top of all those papers would be second nature to me by now. I had hoped by my fourth decade I would be happily living out God’s calling and purpose in my life, that I would have cultivated the fruits of the spirit so they weren’t mere buds but full blown fruit – ripe and ready to pick. I had hoped by my fourth decade I would have figured out how to do relationships without regret. That I would be able to prioritize the things that were truly important and not allow the urgent to drown those things out. That I would have learned to love well my husband, my children, my family and my friends. I had sort of thought that by the time I hit the ripe old age of 41, I would have gotten the hang of being an adult, but instead, most days I still feel like I’m 17 (at least in mind, if not body) and clueless. The truth is, I don’t have it all together – no matter how much I wish it was otherwise. And just when I think I might be approaching having it all together status, something comes along to knock me off course again. The past few weeks, I’ve been doing a full time subbing job and I have come up hard against my physical limits. I am something of a wimp and getting up at 5:45 a.m. four days a week is killing me. By 1 p.m. every afternoon, I long for my couch so I can take a power nap. Even though I force myself to go to bed by 10 p.m., I still have to drag myself out of bed come morning. The sad fact is that I need a lot of sleep and when I don’t get it, I fall apart – and everything around me pretty much goes to pot! The one day a week I have off is filled with errands and to dos and frantic trying to catch up from all the days I couldn’t get it done. It hasn’t helped that we have had something nearly every single evening and full weekends since I have been working full time. Other women do this full time working thing and do it well. (My kids have been watching the Cosby Show and I really wish Claire Huxtable would come live at my house! She seems to together and grown up) I just don’t know HOW they do it! I haven’t really cleaned my house in three weeks and the paper piles are threatening to take over the counter (and I can’t really remember what is in said piles anymore either, but it’s likely the stamps I can’t find are probably lurking there). But it’s okay not to have it all together. God doesn’t love me any more or any less based on my having it all together. In fact, God has a habit of using people who are messy and totally NOT together. The people God used in the Bible were not pictures of success and perfection. Moses was living in exile in the desert after killing a man when God spoke to him out of a burning bush. David committed adultery and then murder to cover it up. Rahab was a prostitute. Abraham kept passing his wife off as his sister. Jacob’s life resembled something from Jerry Springer with all his wives and children. God is not in the habit of using perfect people to accomplish His work. He’s more in the habit of perfecting people while they accomplish His work. All He needs is for us to say yes. Yes, even if we don’t have it all together. God’s love is so much bigger than my failings, and I am so grateful for that fact. Has Defeat Crept Into Your Life? When a long-term subbing job came up, I was excited. I knew it would be a lot of work, with still doing two articles every week, but when I looked at the schedule, I knew I could do it. So, I let the school know that I could fill in for the six week maternity leave. I went through the interview and scheduled my days to shadow the teacher. Then I went home and panicked. All the possible ways that things could implode began to play over and over in my mind. What if I couldn’t get my interviews done? What if I was super tired and couldn’t cope? How would I get the dog walked, dinner on the table and attend all the baseball games (April is insane with baseball)? How would I get up at 6 a.m.? Then I shadowed the teacher and realized that she was scheduled to do the devotionals the entire month of May, too. That’s when I started to hyperventilate. This morning I was having my quiet time and it hit me with the force of a brick to the head – God has NOT given us a spirit of fear. In Christ, we are NOT defeated. Yet, I had allowed fear to tangle in my heart and choke out my sense of hope and expectation. What had started out as something good had become something that filled me with dread. This morning, with tears running down my face, I asked God to forgive me for operating -not out of a place of faith- but a place of fear and defeat. That defeatist attitude prevented me from seeing all the cool things that were possible. I hadn’t even realized the heavy load of defeat I had been dragging around with me the last week or so. I’m not sure when “I can’t,” had replaced my sense of hope and expectation. I just knew that I woke up every morning with a heaviness hijacking my soul. The thing is, I’ve always loved teaching the Bible and sharing what God is showing me (which is why this blog even exists! ), so doing the teacher devotionals shouldn’t be a burden – it’s an opportunity to encourage and build up fellow believers. Every morning, I get to teach Bible to junior high kids. Imagine the possibilities. I enjoy teaching, and I get to do it for six weeks. Only satan takes what we love and twists it into something we dread, and fear is his favorite weapon. In fact, if I feel pulled to do something and then get overwhelmed with a sense of fear or anxiety, I can almost guarantee that is from satan. It certainly is not from God because He promises us that a spirit of fear does not come from HIM! This is not a new concept for me – but I hadn’t even realized how much fear and thus defeat had crept into my life on silent feet – one doubt, one anxiety at a time. I’m so glad that God showed me that I was believing a lie rather than His promise. Now the choice is mine – am I going to believe God’s promises or Satan’s lies? How about you – where are you feeling fearful or defeated lately? I was a month old when I went to live with my family. As an infant, the only things on my mind were eating, sleeping and, well, pooping. I did not have to work my way into the family. I didn’t have to prove that I was worthy. I was just adopted and accepted because of that adoption as a McColm. Maybe it is because I AM adopted in my physical life that my spiritual adoption, the idea of truly belonging to God’s family, resonates so deeply for me. Just as I didn’t have to “do” anything to be a dearly loved child in my physical family, I don’t have to do anything to be a dearly loved child in God’s family. Once I am saved by grace through faith, that’s it. I’m in! Sometimes, I think we see salvation as some kind of eternal fire insurance. Yes, we are saved by grace, but then, the rest is up to us. But we aren’t just brought from death into life. We are given a brand new identity and family. God did not just bring us back from being dead in our sins, but He gave us a new life. Not only did He give us a new life, but He’s in it with us for the long haul. The Bible promises that He will continue His work in us until we draw our last breath or Christ returns. I used to teach high school English and one of the books we read was Frankenstein by Mary Shelley (It’s hard to believe she was only a teenager when she wrote that – but I digress). Despite several movies to the contrary, the actual creature was not named Frankenstein. No, Frankenstein was the name of the man who created the creature. In the book, the creature does not even have a name. He is just a nameless monster running around without any guidance or direction. The reason for this is because his creator – Victor Frankenstein is a wimpy guy who, when he saw his creation for the first time, ran screaming into the night. The poor creature goes lurching from one disaster to another until he comes to the conclusion that all humans are the monsters. Based on his experiences, you really can’t blame him. So, while Dr. Frankenstein took what was dead and breathed new life into it, nobody could think that he regarded the creature as a part of his family. On the contrary, Victor Frankenstein is horrified by his creation, and sees him as the enemy to be annihilated, and so he pursues him to the ends of the earth to do just that. What a different picture we are given of a God who raised us up from the dead and gave us new life. We aren’t left on our own to fend for ourselves. Instead, God invites us into His family. He gives us a new specific identity and privileges that only come from being a part of that family. He loves us and promises to work all things for our good (even when we don’t recognize it as good). He forgives us and helps us stand back up when we fall. He is the exact opposite of Victor Frankenstein. I’m so glad when God saved me, He didn’t just set me adrift, but instead He allowed me to truly know Him and to learn about Him from His Word. I’m so glad that my God is a God of relationship and that He invites me into intimate communion with Him. That’s a Father worth knowing! How has being in God’s family changed you? I’d love to hear about it! In Christ, I am holy and blameless. That seems like almost sacrilege to say that doesn’t it? We hear a lot about being “just a sinner saved by grace.” And we are – make no mistake about it. We do nothing to earn our salvation, BUT once we are saved, we become something new. We become someone who is holy and blameless. The word holy in the original Greek actually means, “a saint.” I don’t know about you, but I rarely feel saintly, but God says, IN CHRIST, that’s who I am. The idea comes up several other times, too. This doesn’t mean we never sin – obviously, we are human so sin happens – but it means that when God looks at us, He sees His Son’s righteousness transferred to us. It’s hard to wrap my mind around this concept because I don’t feel very holy or very blameless. I feel like someone who is broken and messy a lot of the time. How would I live differently, though, if I believed I really was holy and blameless in God’s sight? Hettie Green, nicknamed the “Witch of Wall Street” died a very wealthy woman, but she died arguing with a maid over the merits of skimmed milk. Hettie, despite her great wealth, lived like a pauper. It is said she never turned on the heat or used hot water. She had one black dress and set of underwear which she did not replace until they had completely worn out. She didn’t even like them washed too often because soap cost money. Hettie had a natural head for business and numbers, and those gifts made her a very wealthy woman in a time when women in working in finance was unheard of. Unfortunately, she never enjoyed that wealth. Instead, she lived a substandard existence, even refusing surgery to fix a painful hernia because it cost $150. We can look at Hettie Green and shake our heads at her foolishness, at the great waste of not ever tapping into her enormous wealth, but we have been given “every blessing in the heavenly places.” We’ve been told we are free from the mastery of sin, and we’re told we can stand before God holy and blameless. Yet, we live defeated and without victory. Like Hettie, we spend out time grasping at the dregs of our vast spiritual wealth, but never finding the joy of our Savior. We ARE daughters of the King. HE said that we are holy and blameless, that we are saints. Being holy and blameless does not mean we never sin – we are human, after all. But God promises that if we confess our sins, He is faithful and just to forgive those sins and cleanse us of our unrighteousness. True conviction should result in true repentance. Once we repent, God forgives us and our sins are removed as far as the east is from the west. We do not have to live with regret and shame hanging over us like a dark cloud. Satan would really like us to live in worldly sorrow. He would love for us to continue to view ourselves as the dead creatures we were before our salvation. He does not want us to live the abundant life in Christ that was promised to us. He does not want us to live in the confidence that we are holy and blameless. He wants us to live like we are spiritual paupers with the kind of sorrow that darkens the soul and makes us despair. He wants us to be like Hettie Green – blessed but never enjoying those blessings. After all, if we live like we are spiritually poor who will ask us about God’s riches? In Ephesians 2:10, it states that we are God’s workmanship or His creation. To go along with that particular idea, I thought today would be a great time to share my God-sized Dream buddy Laurie Wallin’s book Why Your Weirdness is Wonderful. I was given an early copy to read and review, and I loved this it! I love Laurie’s fresh and insightful way of looking at this topic – the idea that the weird quirk that embarrasses you or that makes you feel like a weirdo, might just have been given to you, on purpose, by God. Why Your Weirdness is Wonderful is now available for purchase, and because this is launch week, if you buy your copy this week, there are lots of wonderful freebies available to you, so be sure to check those out HERE. You can also connect with Laurie on her Facebook page! I thought it would be fun to Q & A with Laurie about her new book, so I hope you’ll join in the conversation in the comments section. Q: When did the idea that our individual quirks–those personal weirdnesses that drive us crazy sometimes–are part of who God created us to be? A: The pivotal moment was while reading a colleague’s blog post. She shared how frustrated she was with her tendency to overthink things, and how she prayed God would make her different. I couldn’t put a finger on it at the time, but that got under my skin. I was mad! Not at her, but at the situation. . . that clearly gifted people spent so much time lamenting how they are. And how easy a strategy that would be for Satan to use to keep us distracted from living well. If we’re fighting who we are most of the time, we’re missing out on the reflection of God’s image that is trying to show through us. I went back and commented on this post, asking, simply, what if God made you that way because something about that tendency reflects something about Him, rather than it being a flaw? We went back and forth about the idea for a few comments, and ultimately, she said, “You need to write a post about this.” I did, it went viral, and the rest, as they say, is history! Q: Why do you think it’s important for women to see their weirdness as wonderful? Women, in particular, have this fog of expectation clouding our view of ourselves and each other. The more I studied personal strengths, the more I noticed that 1) the things that annoy me in other people are them living their strengths and either me not appreciating them in the situation, or them not living them in a loving way; and 2) the things that annoyed me about myself suffered from the same two issues. So I started asking myself “What strength is she trying to live right now?” when I sensed jealousy or frustration or judgment creeping up with a friend. You know what happened? Where I used to feel insecure, I started noticing a desire to see the good in others and celebrating—affirming—the God-glimpses I saw in them. As a woman, to be able to feel secure in the face of others is a HUGE change to what we often experience. It makes us allies, supporters of each other, champions of what God’s doing in each other’s lives, instead of defenders of what we think is insufficient in ourselves. Q: In the book you talk about the dark sides and positive sides of our quirks. Could you give a few examples for readers? A: As a Star Wars fan, I’ve always related to the whole Dark Side, Light Side (or, as I call it in the book, Life Side) idea. God invests tendencies in us, and we either love Him and others with them (reveal their Life Sides) or we live from fear (Dark Sides). The most common struggle strengths I hear about from people are tendencies to overthink things, be too sensitive, worry too much, argue too much, or be controlling. There are a lot of possible strengths hiding in these Dark Sides, and maybe they come from different strengths in different situations. For example, overthinking can be the Dark Side of being analytical, an achiever, someone who is contextual and sees connections between anything done or said now, and what it will effect. Being overly sensitive can be the Dark Side of empathetic, compassionate, or spiritually discerning individuals. Worrying too much is the fear-driven Dark Side of many prayer warriors I know. It’s not an exact science, but the important thing is to allow the question—to stop fighting who we are long enough to let God show us what is possible in us right then. Q: Can you pinpoint a quirk of your own that you now appreciate, even though it once drove you crazy? A: Everyone I’ve worked with has one strength they can’t, for the life of them, see being a strength. I’m no exception! Mine is the need to make a difference and matter to people. Anyone who knows anything about Christian beliefs will see pride all over that. For years, I fought God, asking Him why I need to be the one on center stage, why I need to be involved in projects that are high profile and far-reaching. It was a sore spot and something I wanted to hide about myself for years. Until only a few years ago, actually. When I started writing this book, I had to sit down and face my big-scary-strength/weakness. I literally sat at a table in my neighborhood hangout with journal in front of me me, pen in hand, sucking down coffee for hours. In that time, God brought to mind projects I’d taken on over the years that nobody else wanted or would touch. Yes, I wanted to be the one at the mic at retreats. But I also was the one who saw a need in my then-classroom and hunted down grants, applied for them, and pulled in thousands of dollars of funding and 20 computers for my science program. I’m a big thinking gal, and in God’s hands it can bring big good. In mine, of course, it’s prideful and annoying. The job every day for me is to listen to His voice and only go after the big fish He leads me to pursue, the way He’s leading me to do it! How can women embrace their weirdness? Where should they start? First, we have to decide to suspend judgment about our natural tendencies. This one trips a lot of people up. They’re scared that if they do that, they’re dropping their moral standards. But that’s not what I’m saying. I’m asking people to stop assuming they understand God’s design in the ways they’ve always thought, acted and reacted in life. His thoughts are higher than ours, after all, right? So step one is to notice when we’re making ourselves feel bad about some way we are, like when we use negative words to describe ourselves (overthinker, worry wart, impatient, lazy. . .) and stop right then to chat with God about it. To say, “What natural desire or strength of mine is wanting to come out right now? How would YOU reveal that trait, God?” Then, let God tell you what He thinks. And keep eyes open to see His answers to the questions unfold in life and relationships. 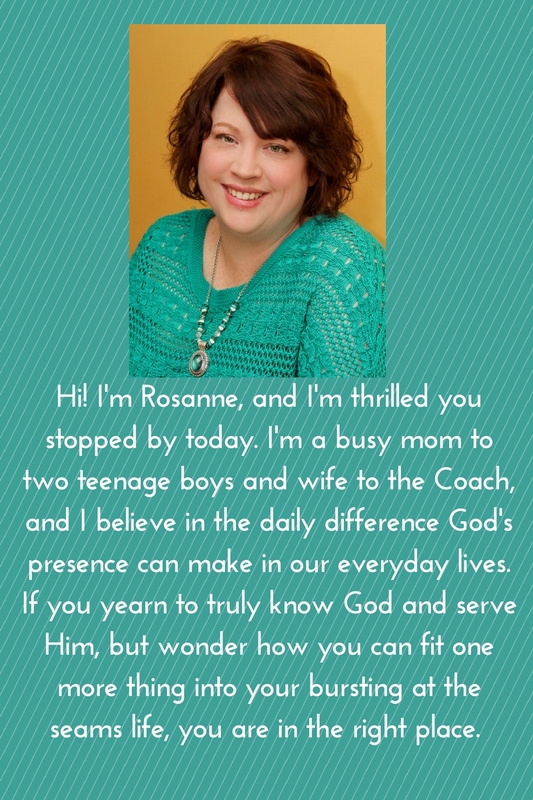 Q: How do you suggest women maximize their quirks to build God’s kingdom? A: The more we listen to what God meant when He designed us the way He did—quirks and all—the more we let God reveal His heart for the world around us. The more we’re attuned to the unique ways God designed us to think, communicate, plan, care and relate with others, the more people are drawn to Him, and the kingdom grows. Q: How can they maintain a balanced perspective about quirks and weirdnesses? A: Our weirdness—our blend of strengths and their quirky upside down versions—stays balanced when we focus it on loving God with all our heart, soul, mind and strength, and loving other people as ourselves. The Greatest Commandment is our great balancer in this tightrope walk of living our weirdness wonderfully. We have an ant problem. I’m not sure where they came from. I haven’t seen one single ant all winter, but as soon as we had a few warmer days, all of a sudden, there they were – swarms of them – in the bathroom. I’ve never understood this since I don’t keep food in my bathroom. So, out came the ant traps. We found these liquid ones that work great. I have to admit though, that I feel kind of guilty when I watch the ants march so purposefully toward their own deaths. I mean, they can’t help it that they are insects. At the same time, though, my kids and I are sort of fascinated by how it all works. Before we break out the trap, the ants sort of mill around without any seeming organization, but once we get the trap out, it’s like some invisible drill sergeant has told them to fall in. The ants march into the trap in a single line and then come out again. Often, they go in more than once. Some stagger out again, half poisoned, but others just die in the trap. Even though the ants going in and out have to see all the tiny corpses of their little friends, they just keep marching in and out of the trap. My kids and I both have the same question – WHY do they keep going in there? Don’t they see that it is a really bad idea? As I was watching this little drama unfold in my bathroom, God gave me an epiphany. As I watched the macabre march of the ants, it occurred to me that we do the same thing as believers. Of course, I don’t mean literally. What I mean is that we continue to believe that we can overcome sin if we just try hard enough, if we just are a little more disciplined. Sometimes, that message is even preached from our pulpits – with every good intention – but it is poison. We continue to march by our fallen comrades, strangled by strongholds of sin and think that it will somehow be different for us because we will just try harder and do better. We take in the poisonous false truth that in our own strength we can overcome sin. The truth is – we can’t. BUT – Greater is He that is in me than he that has overcome the world. Have you ever had a sinful thought that pops into your brain and no matter how you try to shake it, it just keeps popping back in there. Sure, you try to take every thought captive. You try to quote a verse or maybe sing a praise song, but then it comes back. Usually, satan whispers it into your ear when you’re tired or your guard is down, so you aren’t as inclined to take it captive. Then that sinful thought runs amok. Well, I was having that issue. I had prayed about it. I had told myself to get a grip on this thought. I had felt inadequate that I couldn’t seem to run the thought out of my head once and for all. I felt kind of defeated and at the mercy of this sin. I felt embarrassed and ashamed at my inability because, after all, I’m a Sunday school teacher. I write about God’s presence in my life. Surely, I should be able to win in this battle, right, if I just tried a little harder? Suddenly, it became crystal clear what the problem was. See, even though I could mouth all the right words, inside, I believed sin was my master and I had to figure out how to escape on my own. But I was trying to escape a master who no longer had any authority over me on my own when I had back up! It’s true – I am weak, but God is strong. His authority can overcome. So, I claimed that authority in Jesus name, and you know what? The stronghold loosened and fell away. I don’t want this to come across as some kind of magic chant, or that I never struggled again. Because a few weeks after this victory, I was tired and in a bad mood and satan struck and I fell. Why? Because I let my guard down. The truth is we are at war, and if satan can’t keep you from salvation, he will keep you from living abundantly in Christ. There are two times we are the weakest. One is obvious – after defeat, but the other one trips a lot of people up (me included! ), and that is after victory. Claiming Christ’s authority over sin doesn’t preclude true repentance. It doesn’t mean that we can let our guard down. It doesn’t mean we don’t draw our sword – I am a firm believer in Scripture as a way to counterattack sin in our lives. What it DOES mean is that we do NOT have to white knuckle our way to overcoming in our own strength. Christ has already the conqueror. I’ve read the end of the book, and we win. We do not have to live as a slave to sin or let it master us because we have a completely different master – one that loves us and WANTS us to live in victory. I love this bridge that Chris Tomlin wrote for the song Amazing Grace. It seemed particularly apt today. How has God set YOU free from a stronghold in your life? I’d love to hear about it! This month, as we are leading up to the Good Friday and Easter Sunday, we are taking some time to reflect who we are IN CHRIST. If you want to read a little bit about how God blesses us with every spiritual blessing in the heavens, you can read about that here. Today, I am writing about something we talk a lot about in church, but I’m not sure we really believe it’s for us – well, at least not after salvation that is. That is GRACE. I think most of you, if I asked, would say that you can’t earn your salvation, that it was Christ’s work on the cross that paid your sin debt, that there is no way you could work or earn your way to heaven (and if you do think you have to earn your way to heaven, please read this). The thing is though, AFTER our salvation, we start acting like if we are only good enough, God will love us more. That if we do too many bad things or mess up too often, we will run out of God’s grace. Like it is somehow finite. Limited. You’ll notice that it says “we have” – not we had or we got, but we have. What do we have? We have redemption, forgiveness and His grace. And we don’t have just enough grace to save us. Nope – God lavishes grace on us out of His riches. This verse gives us a picture of God’s grace that is overflowing and plentiful – it’s not something He passes out in stingy little servings. We can never run through all of God’s grace. We will never get to the bottom of the grace barrel. Grace always seems a little too good to be true. I mean, sure, God loves us enough to save us from hell, but lavish us with grace? Doesn’t that kind of grace only belong to people who sell everything they own and go to Africa, or the pastor or some extra spiritual like that? The Good News is that we not only get salvation, we get a new identity, and that identity comes with some pretty awesome perks – one of the best of which is lavish grace. You are God’s precious child. Even if you come to Him and you have a smudge of mud on your face and your hands are grimy from digging in the dirt, He sees the beloved child underneath all that. No matter what you do or don’t do, He is always waiting for you with His arms open wide. It’s because His grace never runs out that you can always run to Him. – Tweet This! p.s.s. 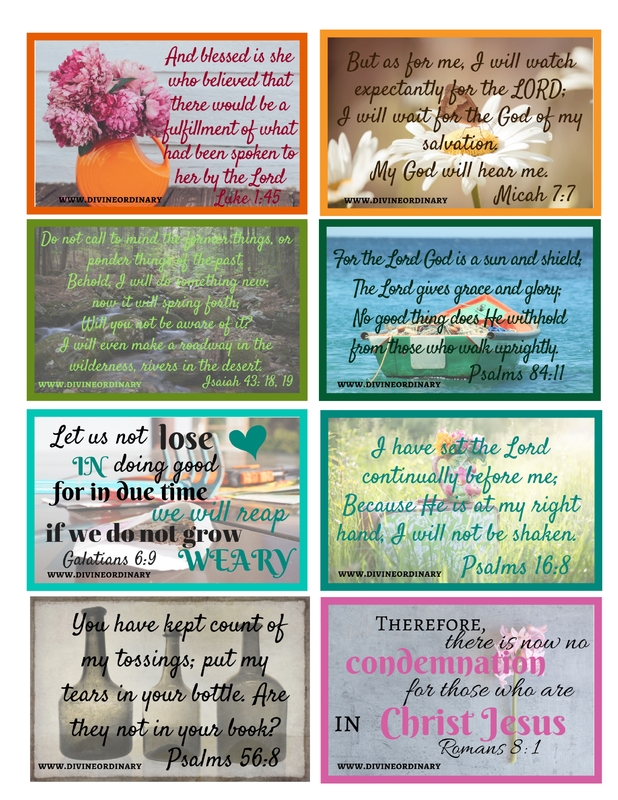 Today, I’m linking up with Holley Gerth – don’t forget to visit her site for more posts that will encourage your heart!